1:46.16 around laguna Seca is not fast by any means but it’s not bad considering its size and comfort. I mean it’s only a couple seconds slower than a Civic type R and faster than the brand new Bentley continental GT. 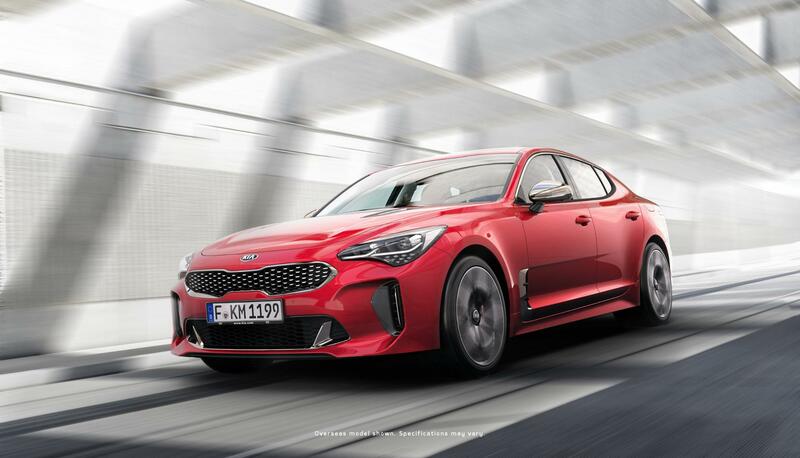 Also, if the quarter mile is 12.9@179kph, then think about it the 0-100 kph is about 4.6 secs and the 0-200 time is around 15.5.. That means the Kia is producing more like 450 hp. The AMG C43, S60 Polestar, and the upcoming M340i are super close. BTW, I'm sure that the Genesis G70 sibling will do the same quarter mile in 12.8@185 (0-200 in less than 15)..
That F8 time is as slow as a 6yr old 4800lbs base Audi A8.....Seems like it should be be much faster, And 12.9@111 with 365bhp and 4100lbs?.... 365bhp my arse. We need to let users add performance times. This did a 12.9 sec at 111 mph 1/4-mile run. Emerson Fittipaldi commercial is pretty cool. Dude can still really drive. Also available in AWD form (In European markets). There will also be a 190kW 2.0 litre turbo on offer.